Low-wage workers are falling farther behind. 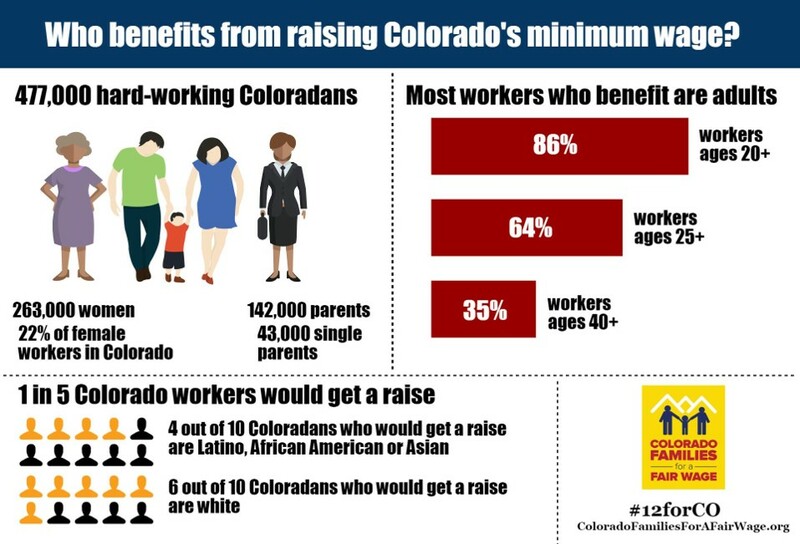 Working full time at minimum wage is not enough to support the basic cost of living in most communities in Colorado. Raising the minimum wage to $12 by 2020 is smart and fair – it will help hardworking families make ends meet and spur economic growth across the state. Find out why.